The significant cost savings is one of the top reasons why you should take advantage of our hardwood floor specials. 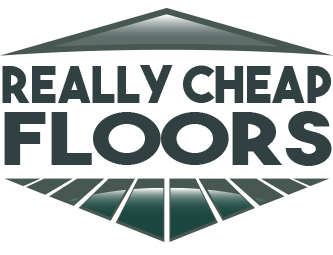 All of the floors are offered at a low cost, but these specials are the most affordable flooring options on the market! If you want to save even more money on your purchase, consider attending one of our once-a-month warehouse sales! Since we handle so many closeout opportunities, these sales are the perfect time for us to quickly liquidate flooring at an unbelievable price. The warehouse sale happens every first weekend for our Regal Street, Murphy, NC warehouse, the second weekend in our Orlando, FL warehouse, and every third weekend in our Dalton warehouse. The flooring options available for our specials features the same excellent quality as all of our hardwood floors. We have been providing top quality hardwood flooring products for over 40 years, so you can always count on a top notch product! We are also proud to say that we carry discount hardwood flooring that is exclusively made in the United States.  Nearly all of the flooring items that we offer, whether it be from Shaw, Anderson, or Somerset, are manufactured in Georgia, Tennessee, Virginia, Kentucky, South Carolina, and North Carolina. You should take advantage of our hardwood floor specials because you never know how long they will be available! We feature a rotating selection of specials, so you should check back often to see what is currently on sale. Even if you do not see a discounted flooring special that meets your needs today, you might just see something tomorrow that would fit perfectly in your home! If you do happen to see something now, take advantage of the special as soon as possible since quantities may be limited! One of the reasons why we have been so successful in the hardwood flooring industry is due to our reputation for providing fantastic customer service! If you are considering taking advantage of one of our hardwood floor specials but have a specific question, feel free to contact us at any time for any questions or concerns! Our friendly staff would be delighted to address any of your questions, so you can always send us a message or give us a call at one of our store locations. Finding the right kind of hardwood floor for your home doesn’t have to be difficult. We’re sure you’ll find something you’ll love. Check out all of our hardwood floor specials today to take advantage of some awesome discounted hardwood floor options for your home. We look forward to assisting you with all of your hardwood flooring needs! Tile Vs. Hardwood Floors: What Should You Choose?